Tonight an old friend of mine & I decided we haven’t talked that much recently and it was time to visit for a while, so we made the decision to have dinner at Perkins in Green Bay. I do go there, I’d say about once a month with various people because I do enjoy the food, company, atmosphere and service. 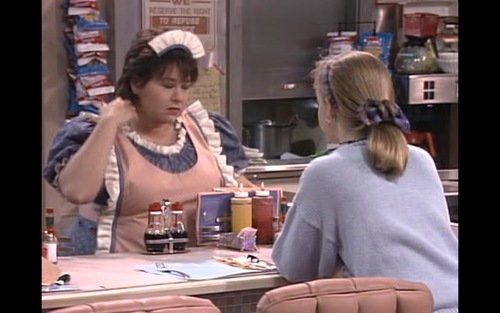 I normally have the same waitresses each time we go, and I like it that way. After we finally ordered our food, a huge group of people swamped the place, and this waitress had to help most of them. I could see frustration and stress in her face as she ran back to the kitchen multiple times to fill drink orders and also place orders for food. She came to a table and asked them how they were doing, and got the normal response ” We’re good, how are you?” She answered that she’s great, but wasn’t expecting this many people at once. The lady that was with the gentleman that had been talking with her, got upset at her ” complaining” about her job, and was swearing, cursing and wanting to speak to a manager. We could hear everything going down 3 tables away. They made such a scene, that the waitress, could no longer help them due to the fact she was beginning to shed tears of humiliation. The manager finally came out and was trying to calm the customer down. I was about ready to get up and say something, but didn’t know exactly what I would have said. It’s times like these that get me “going” and want to stand up for people that don’t have a voice. I’m not the strongest person in the department either, but it sure beats sitting there listening to it. The waitress only told the truth, she would be running around like a chicken with her head cut off, and just was venting, if you’d even call it that. It wasn’t like she was going on and on about it. After listening to this woman go off the deep end, the manager finally asked them to leave, as I believe they should have. I was so tempted to say something, but like I said, ” what would I have said?” What would you have done? Do you think it was wrong for the waitress to “vent”, or should she have just said the usual line of ” I’m good, I’m great, blah blah blah” same thing? Give me your thoughts on this. What an awkward situation for you! You had compassion for the waitress but no way to really express it. Thank goodness for the manager who took her side. I’m not good at standing up for people in public, either, but I’ve gotten braver over the years. If I see someone doing something kind for someone, I try to say thank you. Maybe if I had been clear headed in this situation, I would leave a note at my table that the waitress could find later, supporting her and hoping her day went better. Maybe let her know she was in my prayers. One time years ago, I met a woman working at a gas station who told me she was having a bad day. I don’t know what came over me, but I went down the street to the florist and got her a rose and brought it back. I was so shy, I took it in and said quickly, “Your day is going to get better from now on”, and I hurried out. IN truth, it was my day that got so much better after that! God bless you, Josh!